We just got a new tool set up in the shop. It is a 1930s Norton Fly Press, made in England. 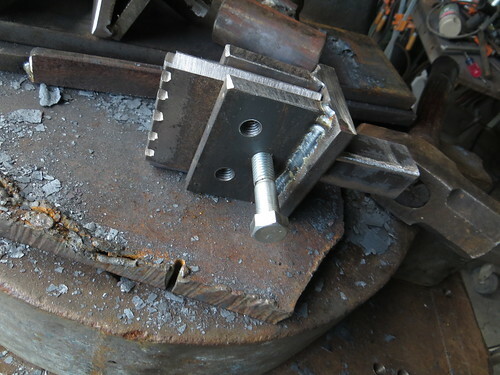 We are using it to make tooling, and will be using it to forge hot and cold iron. Here are a few first experimentations using it to form blocks of hot steel into rounding dies, and a make hot-cut hardy chisel from a jackhammer bit.